This past month, Illinois Soybean Association (ISA) became the first checkoff organization to subscribe to the Mercaris Data Service. We’re excited to work with ISA because of its direct links with Illinois soybean growers and its interest in promoting new marketing opportunities, particularly for identity-preserved soybeans. 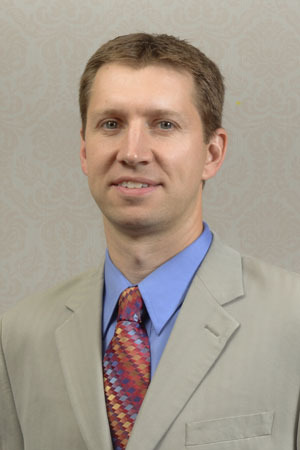 Spearheading this partnership is Mark Albertson, Director of Strategic Market Development at ISA. Cinch Munson, Mercaris's Director of Market Operations, sat down with Mark to hear his thoughts on the mission of ISA, and how our organizations can work together to expand markets for Illinois farmers. ISA administers the soybean checkoff for Illinois soybean growers. There are a lot of soybeans grown in Illinois and a lot of non-GMO soybeans as well. How does ISA serve conventional and non-GMO soybean growers? Mark: Our organization serves all soybean growers. We help them to become as knowledgeable as possible in order to produce the best quality crop that is sustainable and competitive. We also work with researchers and customers to help grow soybean supply and demand. Illinois produces more non-GMO soy than any other State, with non-GMO at about 5% of our overall crop. There is a lot of room to expand. For those farmers who are willing and able to grow non-GMO soybeans, non-GMO is a great option. ISA, in partnership with other soybean checkoff organizations, has launched SoybeanPremiums.org, which Mercaris uses to reach new participants for our online trading platform and market data services. What else can you tell us about the site? 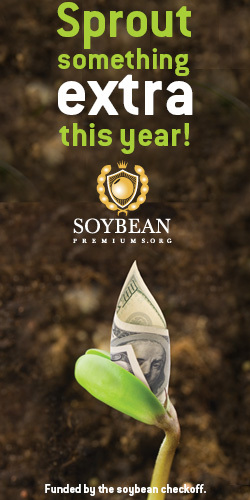 Mark: SoybeanPremiums.org helps make soybean farmers aware of which companies pay extra for specialty soybeans like non-GMO. The soybean buyers post information about their companies and their programs on the site. Growing Non-GMO soybeans can be financially rewarding if a premium is available. Farmers make their seed purchasing decisions in late fall and winter. However, companies who buy soybeans often wait until December to announce their non-GMO premium pricing for the upcoming crop year. That means there is a very narrow time window for farmers to crunch the numbers and make a good business decision about what to plant for the coming growing season. SoybeanPremiums.org is a fast and free way for companies to share their information with a lot of farmers. Combined with Mercaris information about basis prices and volumes it gives a more complete picture of the non-GMO soybean market. What opportunities do you see for non-GMO soybean producers to utilize Mercaris services to make better informed decisions and ultimately make more money? Mark: The non-GMO marketplace has come a long way in the past ten years. However, much of the trade is still very secretive and non-transparent. That puts farmers at a disadvantage. Efficient price discovery and market transparency for non-GMO is long overdue. Mercaris is filling that need. The producers who subscribe to Mercaris Data will get the most benefit by having valuable market information at their fingertips. Additionally, introducing a new way for producers to connect with buyers and market their crops creates additional benefit to all farmers by making the market more competitive, efficient, honest and stable. If there weren't any soybeans in the world, what would you be doing? Mark: I really enjoy the ag tourism sector. These days the public interest in traditional farm culture has never been stronger. I grew up on a Christmas Tree farm in eastern Ohio where I would help my parents come up with ideas to increase their sales. Our golden retriever, Cheyenne, would gladly do tricks for the families who came to find their tree. The locals still talk about the legendary haunted hikes that we would host at our farm in October. If I were to transition to another career path, it would be very rewarding to have a hand in creating family traditions and nostalgic connections to their favorite farm. A core part of our mission is making sure that family farms have access to critical market data, just like larger companies and agribusiness firms do. Towards that goal, we’ve created new "Grower Reports" that provide detailed, timely market information at an affordable price for farms and small businesses. Contact us for special rates for farmers that include organic & non-GMO crops, food and feed prices, and spot and forward prices for all grain & oilseed crops in one report by contacting Mercaris at 301-495-4900 or by emailing us for a demo. We will be attending the above events. Contact us for more information.